Henry VIII was a self-centered, psychopath, without conscience or remorse, who did exactly the right thing at the right time for the wrong reasons? This book by a leading politician looks at the series of political killings carried out by arguably ?Britain’s most ruthless and blood-soaked monarch: Henry VIII. By studying the reasons for the judicial murders of figures such as Thomas More, Anne Boleyn, Thomas Cromwell and a host of other victims, this book seeks to show why it was the Henry indulged in show trials and summary executions in a way that neither his predecessor nor successors did. Was Henry VIII just a run of the mill ruthless tyrant who disposed of anyone who opposed him, or was there more to it? Was he a psychopath? This book looks at the evidence that he had a psychopathic personality from the outset but which became more marked with his advancing years and ill health. Did Henry’s VIII serious jousting accident in 1536 cause brain damage that lowered his inhibitions and give full reign to an increasingly paranoid and psychopathic personality? Henry’s break with Rome was in the author’s view inevitable and beneficial, but examines to what extent was his penchant for killing was the result of purely realpolitik considerations or because of his psychopathic personality and declining heath? 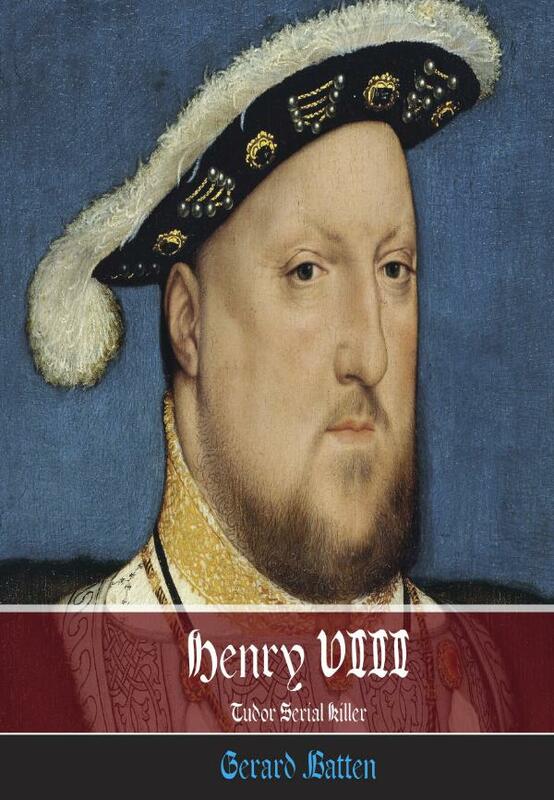 This book traces Henry’s career as a killer, explaining what drove him to resort to such actions and whether England became a better or worse place for having had a serial killer as monarch. Chapter 1 Was Henry VIII a psychopath? Gerard Batten is a Member of the European Parliament for London for the UK Independence Party. He was first elected in 2004, re-elected in 2009, and elected for a third term in May 2014. He was a founder member of the UK Independence Party in 1993, and has served as a Party spokesman on Defence and Security, Immigration, and Home Affairs. Inglorious Revolution was co-authored with Pavel Stroilov and charts how the English Constitution was subverted by Britain’s membership of the European Union. The Road to Freedom lays out the case for Britain’s unconditional and unilateral withdrawal from the European Union. This, his latest book, is his first foray into a purely historical subject and was written as light relief from the world of politics (or so he thought at the time of starting it).